With 67% of LinkedIn members located outside of United States, LinkedIn has become a platform for professionals all over the world to connect and explore business and career opportunities across borders. There’s never been a more important time to manage your professional identity and relationships, and today we're making it even easier with a new integration with WeChat. For LinkedIn members unfamiliar with WeChat, WeChat is the world's fastest growing social app, bringing together messaging, social and gaming features all within one interactive platform. 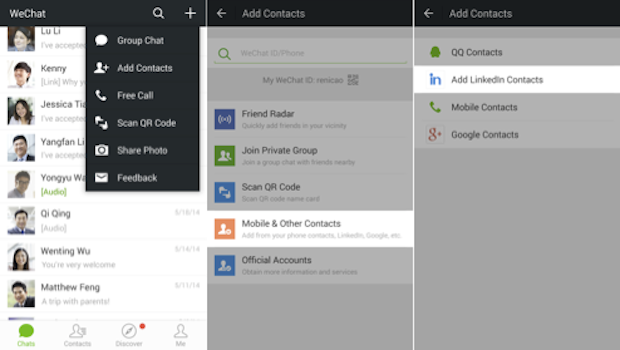 Starting today with WeChat 5.4 for Android, you can link your LinkedIn account to your WeChat account to make it easier to see which of your LinkedIn connections are on WeChat already, and which you’d like to invite to join. From within the WeChat app, simply select “Add Contacts”, then “Mobile & Other Contacts”. 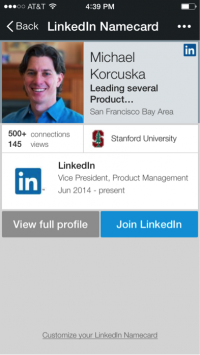 From there you will see the option to add your LinkedIn contacts. We enabled the ability to link your WeChat and LinkedIn accounts in China earlier this year, and are now making it possible for members around the world to take advantage of this integration. We know that the professionals on LinkedIn do business around the globe and with this global WeChat integration, it’s now easier than ever to connect, communicate and network with others professionals you care about. As an added bonus, linking your accounts will enable you to weave your professional identity on LinkedIn into your presence on WeChat. Once you’ve added LinkedIn to WeChat, other members will be able to access your LinkedIn Profile from your WeChat profile, via a new LinkedIn namecard that appears on the WeChat profile page. By using the LinkedIn namecard inside WeChat, you will now be able to share your professional identity with your WeChat friends, colleagues or potential business partners, and to invite them to connect with you on LinkedIn. 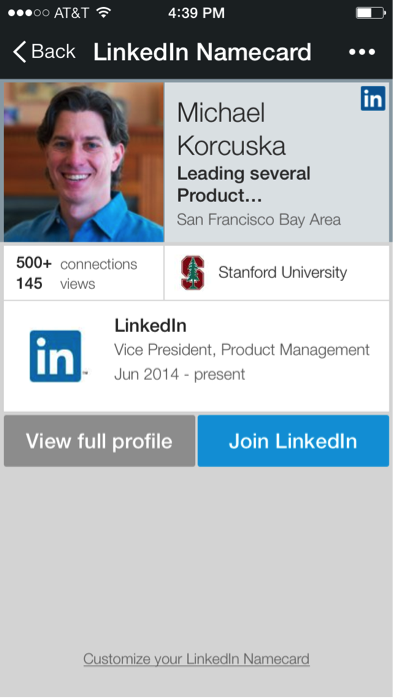 This gives you one more way to expand your network on and off of LinkedIn. 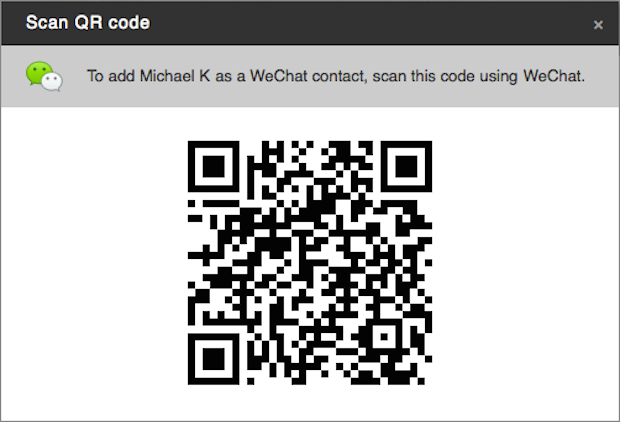 Meanwhile, by scanning the WeChat QR code in your LinkedIn connections’ contact info section, you can connect with them on WeChat without having to log out of one account or log into another. We’re looking forward to collaborating more with WeChat to continue expanding the ways you can grow your professional presence across both platforms. To learn more about WeChat, check out their blog.